With the holiday season fast approaching and people buying all sorts of gifts online, it’s important to be aware of the risks that come with sharing identifying information, especially things like credit card numbers on the internet. Even if a site is secure -- note that little padlock icon at the beginning of the URL -- if instances this year like Yahoo and Equifax have taught us anything, it’s better to be safe than sorry. To that end, data from OpenVPN, a company that makes open source VPN software has looked at the people and places that are most likely to be targets for hackers. Examining the complaints of 100,000 people in 2016, the company found the most and least affected states, and which demographic groups were the most most victimized. The state that was most affected was California. Last year, 47,077 California residents lost a total of $255,181,657 to cybercrime, which nets out to an average of $6,452.62 lost per person. The least affected state was Vermont. 3,359 people were targeted by hackers, a total of $855,007 lost which came out to $1,943.20 per person. On the whole, men fell victim to hackers 75 percent more often than women did. 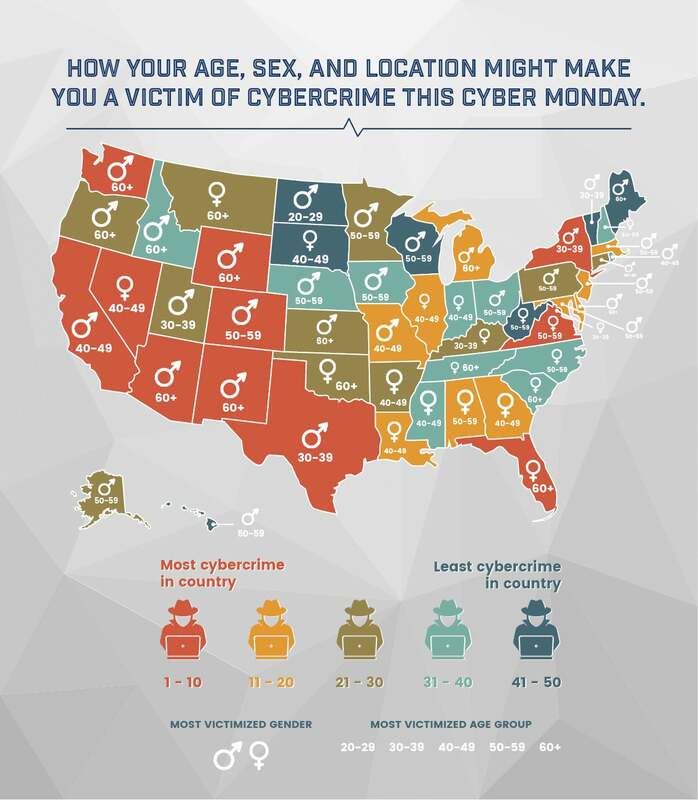 The data found that the worst state for men for cybercrime is Alaska and Mississippi is the best. For women, Florida is the worst state and South Dakota is the best. For more about which groups are most likely to be hit with cybercrime, check out the infographic below.